When George McCaffrey’s car plunges into a canal with his wife still inside, nobody knows whether George is to blame. Nobody, that is, except an Anglican priest who happened to witness the whole thing. And when George’s former teacher, the charismatic philosopher Rozanov, returns to town, George’s life begins to spin wildly out of control. Stuart Cuno has decided to become good. Not believing in God, he invents his own methods, which include celibacy, chastity, and the abandonment of a promising academic career. Interfering friends and relations question his sincerity, his sanity and his motives. 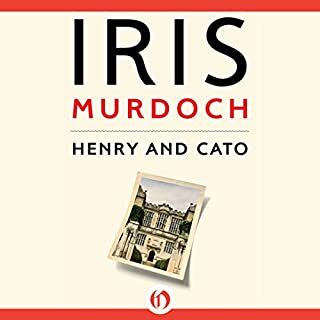 When old friends Henry and Cato reunite after years apart, they quickly become embroiled in the drama of each other’s lives. Henry, who has just returned to England as the sole heir to his recently deceased brother’s estate, quickly begins to uncover secrets buried long ago. Meanwhile, Cato, a Catholic priest, has fallen in love with the criminal Beautiful Joe, and struggles to reform him despite the thief’s continual efforts to rob him. 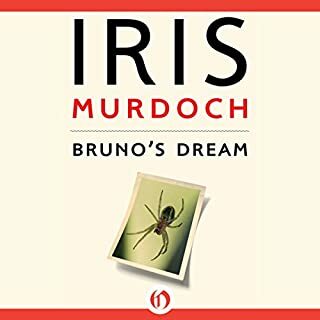 Bruno, dying, obsessed with spiders and preoccupied with death and reconciliation, lies at the center of an intricate spider's web of relationships and passions: Bruno's estranged and grieving son Miles; Danby, Bruno's widowed son-in-law, consoling himself with the Adelaide the maid, one of Murdoch's finest comic creations; creepy Nigel the nurse and his besotted twin Will, fighter of duels. The flooding Thames brings about the climax, and all are left changed by love and forgiveness before the old man's death. On the eve of the Easter Rising, a divided Irish family is pushed to the brink of destruction. In the dark days of the First World War, tensions between Catholic Pat Dumay and his Protestant cousin Andrew Chase-White threaten to tear their family apart along political and religious lines. As Ireland moves ever closer to the deadly Easter rebellion, the family is engulfed in an epic drama of love, loyalty, and loss that will change their lives forever. Businessman Mischa Fox has wealth, charisma, and an uncanny ability to influence those around him. When he moves to buy a small feminist magazine in London called the Artemis, Mischa becomes entangled in the lives of the Artemis’s editor, Hunter, his sister, Rosa, and her boarder, Annette, as well as their circle of friends. 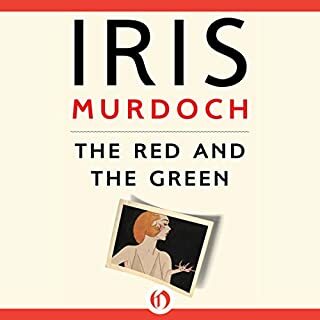 As Mischa instigates a series of ominous events that will change their lives, Murdoch’s masterful prose brings these rich characters - and their darkly humorous troubles - to vivid life. Charles Arrowby, leading light of England's theatrical set, retires from glittering London to an isolated home by the sea. He plans to write a memoir about his great love affair with Clement Makin, his mentor, both professionally and personally, and amuse himself with Lizzie, an actress he has strung along for many years. For years, Alfred Ludens has pursued mathematician and philosopher Marcus Vallar in the belief that he possesses a profound metaphysical formula, a missing link of great significance to mankind. Luden's friends are more sceptical. Jack Sheerwater, painter, thinks Marcus is crazy. Gildas herne, ex-preist, thinks he is evil. Patrick Fenman, poet, is dying because he thinks Marcus has cursed him. Marcus has disappeared and must be found. Superb acting, but beware of audio idiosyncracies! In SPQR, world-renowned classicist Mary Beard narrates the unprecedented rise of a civilization that even 2,000 years later still shapes many of our most fundamental assumptions about power, citizenship, responsibility, political violence, empire, luxury, and beauty. Hilary Burde was a rising star in academia until a tragic accident plunged him and his mentor and rival, Gunnar Jopling, into two decades of depression and guilt. Hilary, unable to overcome his pain, abandoned his promising career for an unfulfilling job as a civil servant. But at age 41, Hilary crosses paths again with Gunnar - initiating a series of events that will change their lives forever. 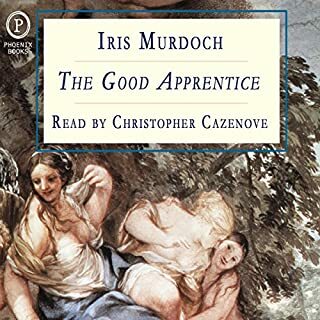 Iris Murdoch's 26th novel is a romp as well as an homage to that master of convoluted comedy, Shakespeare. She has adopted a syncopated, slightly mocking tone, and many scenes have a distinctly theatrical air. She has also achieved a disarming sense of timelessness, due in part to the fact that her eccentric characters, a close-knit circle of friends, are extremely well-off and spend their days and nights dashing between their country estates and their London houses. The tale begins on the eve of a wedding. Edward is to marry the lovely Marian. Benet, his rather fussy friend and neighbor, is in charge of the proceedings. Marian's note leaves everyone in a tizzy. Who is Jackson? Where is Marian? The darkness of mystery mingles with the lightness of comedy for something completely different. 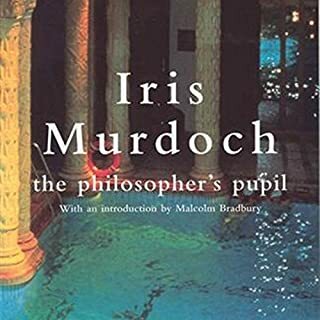 As usual with Iris Murdoch, her evocation of character, description of places and scenes are brilliantly detailed. I confess however to finding some longeurs in this tale. 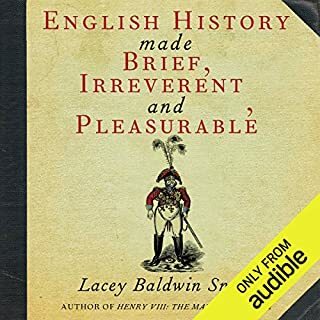 For instance the constant journeys between London and the country taken by many of the characters were sometimes tedious and mildly irritating. However, in retrospect, the whole notion of Jackson himself is a mysterious achievement and almost encourages us to read it again in the light of the final revelation. 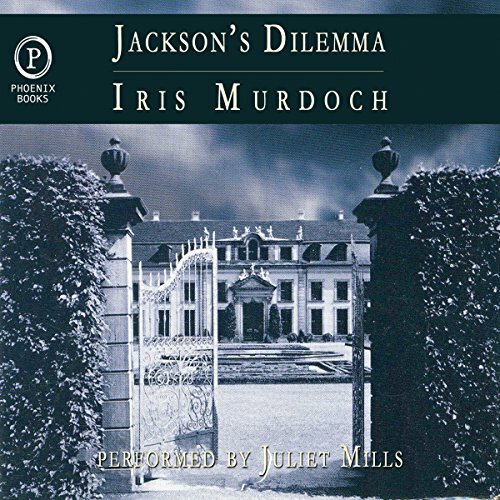 Juliet Mills' robust no-nonsense narration is a perfect foil for the many wonderful but deliberately overblown declarations of romantic love or extremities of emotion.